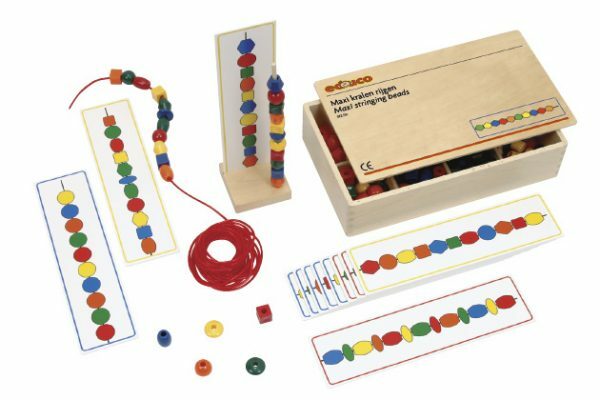 Learn about shapes, colours, order and patterns with Maxi stringing beads. Children follow the colourful patterns from the card images to fill their stand. Advanced players may begin to make larger patterns using the plastic thread. The assignment cards have an increase in degree of difficulty.